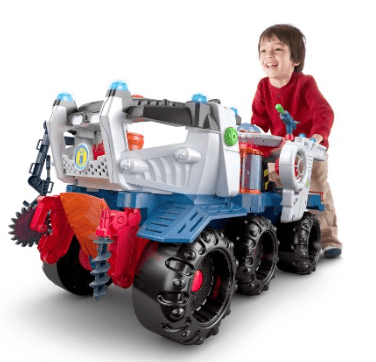 The Fisher-price Imaginext Supernova Battle Rover is on sale for $75 at Amazon right now. That's 37% off the list price of $119.99! Endless Imaginext Play! The hot wish-list toy that will keep your boy engaged and playing with it for years! Use kid-controlled panel to interact with the Rover, triggering SFX, phrases and lights! When other Imaginext ships (sold separately) fire at it, the Rover responds with different SFX and phrases! Includes Battle Rover, removable space shuttle, storage area, tools and weapons and much more!